Often times when we hear the word “diversification”, we tend to think only about our stock portfolio and other investments … myself included. But have you ever given a thought about diversification when it comes to earning income? 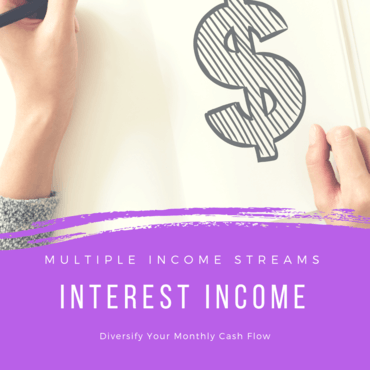 Personally, I believe that having a multiple streams of income is just as important as a having a diversified portfolio of stocks or real estate investments. 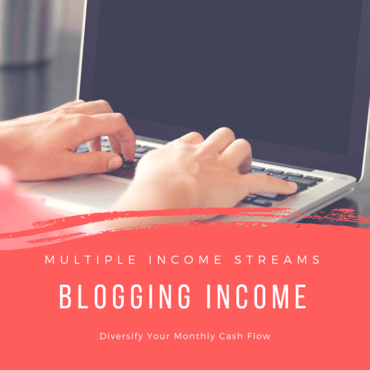 I came across a great personal finance article the other day called – Create Multiple Income Streams for Security and Wealth. It was published on the Retire Before Dad site and it really got me thinking again about diversifying our family’s income. In the back of my mind hidden somewhere, I have also known that having multiple income streams is important. But I don’t always take action on building and growing income streams that are outside my full time job. So as we near the end of this year (2018), I wanted to write down where our monthly income will be coming from next year. And hopefully I can get motivated to start growing some of our existing income streams and possibly add one or two more over the next year. Our family will have at least 4 sources of income next year. 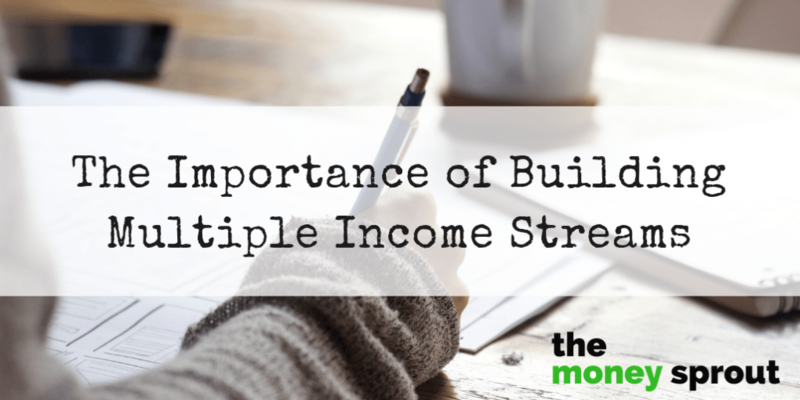 I have highlighted these different income streams below and laid out some goals for each. We expect to earn income from at least 4 different sources next year (2019). The biggest income stream (currently) is from my job, which we call our W-2 income. In addition to earning active income from this source, my job also offers my family health and dental insurance, along with other helpful employee benefits. Next we have income coming in from our investments accounts which include – dividend paying stocks and interest earned on our emergency funds. Finally, we are working on a new side hustle source of income from 2 blogs that we run. There is no doubt that the W-2 income that I earn from my job supports our family. It currently makes up over 90% of the income we earn and pays our monthly expenses like – mortgage, transportation, food, etc. In addition to earning a salary from my full-time job, we are offered a decent (not great) benefits package which includes – medical, dental, and life insurance. We expect to earn just over $100,000 next year (2019) from my job. Another benefit of my job is the retirement tools available to defer some of that income. For example, I currently plan to max out my 457 contributions in 2019 … which will be $19,000. This quickly lowers our tax burden and allows us to start building additional income streams … while avoiding huge tax obligations. In addition to having a 457 plan, I also have the option to open a 401k account at work and contribute an additional $19,000 (in 2019). This would lower our tax burden even further … if needed. As our income starts to grow from other sources (see below) … we plan to start leveraging these different retirement investing tools. Without question, our most successful income stream (beside my W-2 income) is from dividend stocks. We are expected to earn around $6,700 this year (2018) in dividends and have estimated that will grow to around $7,500 next year (2019). This is a passive source of income that we don’t really spend a lot of time on. Other than screening stocks about once per month, we just invest in quality companies that have a strong history of increasing dividends each year. Other than that, we basically keep an eye on our portfolio for any dividend cuts, etc. One thing to note, about half of our expected dividend income next year ($3,750) will be held in retirement accounts like our Traditional and ROTH IRA’s. This means half of our dividend income won’t really be accessible until I hit retirement age. 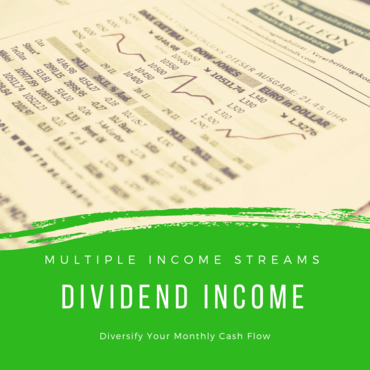 The other half of our dividend income stream (another $3,750) is held in taxable brokerage accounts … which means it is part of our Adjusted Gross Income and reported on our taxes. I think a lot of investors tend to shy away from earning dividends in taxable accounts because it increases their income. However, since we are long term buy and hold investors … the majority of this income comes from what are called qualified dividends. So as long as we can stay in a low tax bracket … our qualified dividends are taxed at 0%. For more information on qualified dividends, I suggest checking out the IRS definition of qualified dividends. One last thing … using the Rule of 72 calculation, we expect to double our dividend income every 9 years (or even sooner). This will eventually play a role in allowing us to reach financially independence. My wife and I currently have about 8 months worth of expenses in our emergency fund. It could probably stretch a full year if we really tried and buckled down. In order to have access to most of these funds at any time … we keep them in short term interest bearing accounts. Basically, we hold our emergency funds in certificate of deposit (CD) accounts that are 12-months or less. And we hold some of the funds in money market or high yield savings accounts. I recently discussed how we are considering opening up an Ally Bank savings account to earn the 1.90% return. This isn’t as good as earning dividend income … but it is better than holding the money in a checking account. Based on our strategy for maximizing the return on our emergency funds, we expect to earn around $700 in interest next year. By making a few simple moves with our money, we will double our interest income next year. This current year … we will likely only earn around $350 in interest. Because we feel this is a very inefficient way to invest (or hold) our money … I don’t expect to see this income stream grow much year to year. At most I could see this income stream growing to $1,000 annually. Once we hit a threshold with our emergency fund dollars, we would likely move any excess dollars into dividend stocks. Starting next year, we expect to start earning a little bit of income from our blog(s). We have 2 separate websites (one is The Money Sprout) that we operate. After years of not doing it … I decided to start monetizing both blogs in order to cover the expenses … at a minimum. I had been spending $1,000 to $2,000 on business related expenses to run these blogs each year. That seems like a bunch of cash (and it is), but those expenses included things like – hosting, premium wordpress themes, email marketing costs, etc. We have since cut our business expenses back by about 50%. Since we didn’t earn any money from the websites in past years … these business expenses had been paid from our personal accounts. The good news is that by monetizing our blogs, we should now be able to cover these expenses. So we get to keep that $1K to $2K from our personal accounts and possibly invest it? Not only should we be able to cover our blogging expenses now from the sites, we probably will earn a bit of extra income from them. Next year, I expect to earn at least $500 of blogging income after paying expenses. The goal is to really start focusing on building out both of our blogs to generate decent cash flow next year … like $1,000 per month from each site. Even $1,000 per site every month is not that huge … but that extra combined $2,000 per month of income could be huge for our family. Some of that income could be invested back into each of the sites and the rest could be used to invest in our dividend income portfolio. As this income stream starts to grow and compound, it will help to feed one of our other income sources – investing in dividend stocks. That helps that income stream compound and grow too. And eventually … our W2- income stream becomes irrelevant on supporting our family. With a total of 4 different income streams bringing in cash flow next year, we are set to make at least $108,700+ combined. The purpose of this post isn’t to brag about how much income we bring in each year. But rather draw attention to where that money is coming in from. And how we plan to diversify our income sources in the future. For example, of the total income we are estimating to earn next year … the W-2 income stream accounts for 92%! That tells me we are not even close to having diversified income sources. So our plans are to start focusing on things like side hustles and growing out our blogs to earn us more income. That extra cash will be recycled back into building our dividend income stream. All this while 100% of the cash earned from our dividend income stream is reinvested back into more stocks. And provided we don’t need it for an emergency, the dollars we earn from our interest accounts will be invested into our dividend income stream. 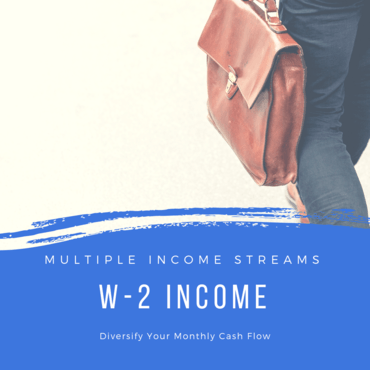 If I were to get a raise at work or we find more ways to cut expenses … the extra leftover W-2 income we earn will be reinvested into our dividend income portfolio. Finally, looking forward … we won’t rule out investing our extra income into real estate properties. Or at a minimum … we could look at crowdfund real estate investment like Fundrise. Hopefully by now … our goals are pretty clear. We are going to ramp up our income from side hustles and the blogs in order to help fund the purchases of income producing assets. Basically, we want to allow our income to compound … just like we would with our stock portfolio. 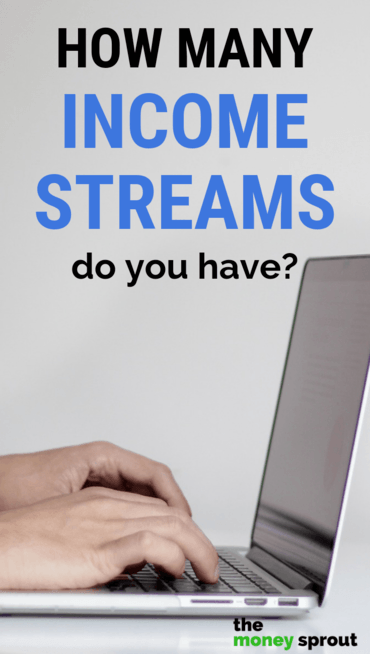 How many income streams do you have? What is your strategy for growing them?